Home > The bird for those who want a parrot, but don't really want a parrot. The bird for those who want a parrot, but don't really want a parrot. Cockatiels are, by far, my favorite bird. They are adorable birds with many of the wonderful traits that make large parrots popular, and many less of the issues that make them difficult. Cockatiels require much less space than larger parrots, but do still need fairly big enclosures. They're not quite parakeets, and not quite parrots. They are trainable, and will even learn to imitate some speech and will learn short songs! Our bird Kashmere was particularly fond of the Mexican Hat Dance! Cockatiels live 10-15 years or more, so be aware that they will be around for a bit, but not forever. In thinking of getting a Cockatiel, be sure that you have the time commitment to devote to them. Like all birds, Cockatiels will become attached to you, and it is not very nice to re-house them. These birds have a simple but varied diet, and do enjoy treats. Lining their perches with special paper sold in pet stores to trim their nails helps, as well as giving them a cuttlefish bone (also sold in pet stores, don't worry, you won't have to go cuttlefish fishing!) helps with their beaks and calcium intake. These are friendly, fairly quiet as far as volume goes, and chatty little birds. 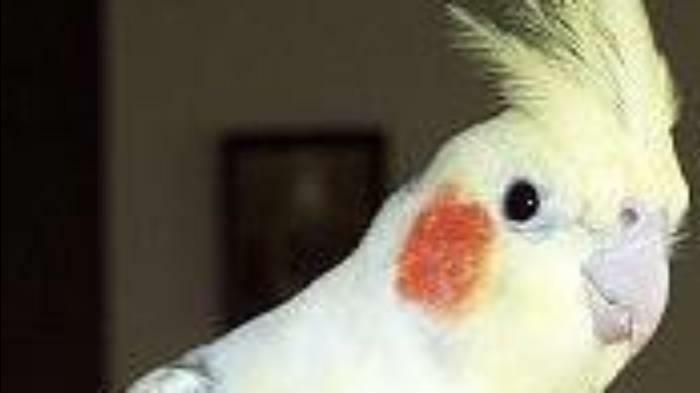 If you want a parrot, but know that you simply should not have one, consider the Cockatiel.